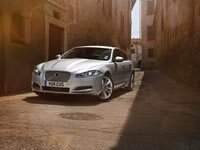 The Jaguar brand enjoys a longstanding reputation for elegant styling and sporting performance. While the Jaguar is now only British in heritage, and not in ownership, new models like the XF and redesigned XK and XJ feature modern designs that retain a decidedly English charm. Keeping your Jaguar on a regular preventative maintenance schedule ensures it stays safe and reliable for you and your family through the long haul. Our multi-point inspections (included with any service) and honest approach to vehicle maintenance and repair see to it that your car is fixed correctly and at a fair price. Our Jaguar service and repair shop is equipped with state-of-the-art equipment and diagnostics to best service your car. Give us a call today at (253) 604-4128 or fill out our contact form online.